These affordable pool or snooker trophies are made in durable resin with an attractive antique bronze colour finish. 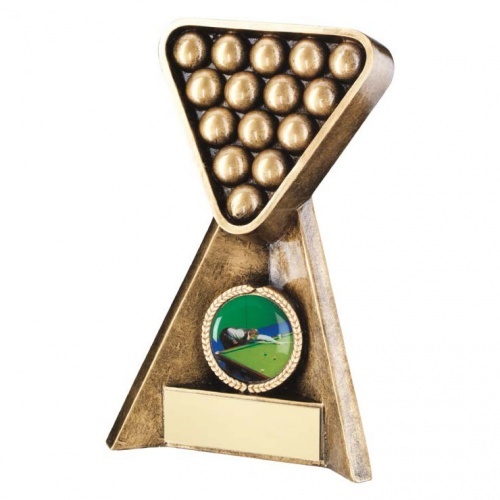 They feature a rack filled with balls set upright on a triangular base with 1in centre and engraving plate. They are available in three sizes and offered with engraving options.